It's relatively easy to feel comfortable walking mostly naked on a beach if you're in the tropics. It's less easy when you're in Ireland. 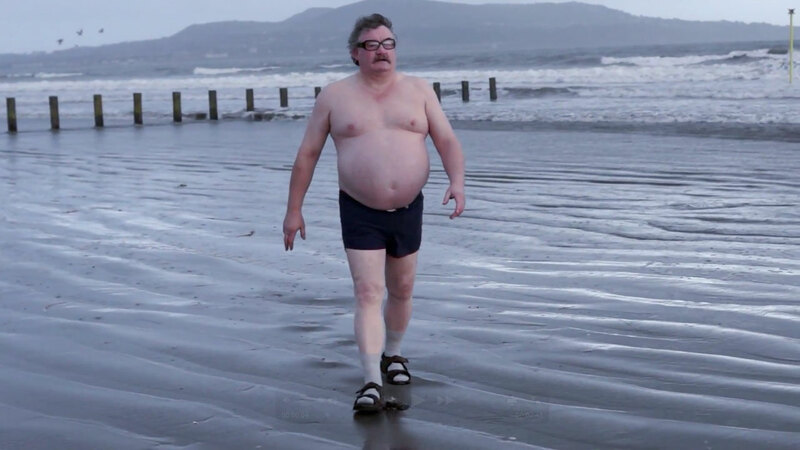 Huby Harton, an Irish singer who's probably been told a thousand times that he looks like the guy from the Southern Comfort ad, decided to embrace the resemblance—and re-enacted the classic Wieden + Kennedy spot one winter's day on Dollymount Strand in Dublin to promote his latest album. Hey, whatever's comfortable. The video made it to Southern Comfort's Facebook page today.